The Sport360 team are here bringing you our top stories on Saturday. As ever, get in touch with us throughout the day via Twitter and Facebook. 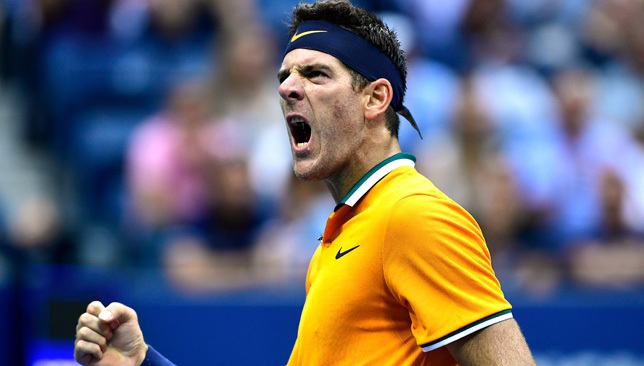 Juan Martin del Potro and Novak Djokovic set up a US Open final clash as Rafael Nadal was left to curse the return of the knee problems that have dogged his career. Looking to retain the title he won last year and cap another hugely successful season, Nadal must instead focus on rehabilitation after pulling the plug two sets into his semi-final against Del Potro. The Spaniard had played down concerns over his right knee after having it taped during a long third-round match against Karen Khachanov and had survived a brutally physical encounter with Dominic Thiem in the last eight. To read more from the US Open CLICK HERE. England captain Harry Kane has brushed aside concerns over his workload, insisting his early-season statistics are nothing to worry about. 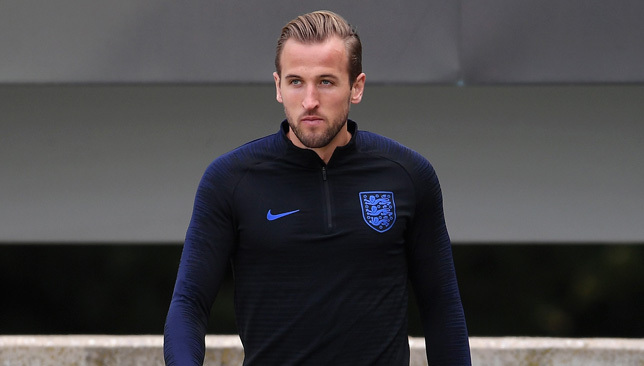 That Kane found himself facing questions over his mental and physical freshness on the eve of Spain’s Nations League visit to Wembley was perhaps puzzling; he will, after all, be collecting the World Cup Golden Boot before kick-off and has already netted twice in four games this term. But there are wider worries about the burden he carries for club and country, both of whom treat him as indispensable, and how it is shaping his game. 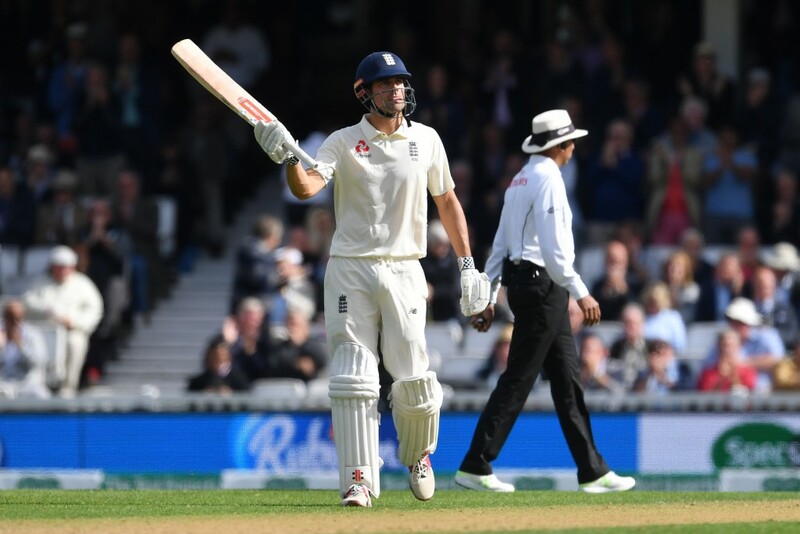 Former England captain Alastair Cook was hoping for a fairytale finish with a century in his final Test match at The Oval. But it wasn’t to be as he was bowled by Jasprit Bumrah after a fighting 71 from 190 balls. New England No3 Moeen Ali, who scored an even slower 50 off 170 balls, and Cook had put the hosts in a strong position at 133 for one but then both Joe Root and Jonny Bairstow went for bagels as they lost three wickets for just one run. In the end England recovered to be 198 for seven at the end of the day but much of Cook and Ali’s good early work had been undone. Cook braved through a testing period to register a half-century. 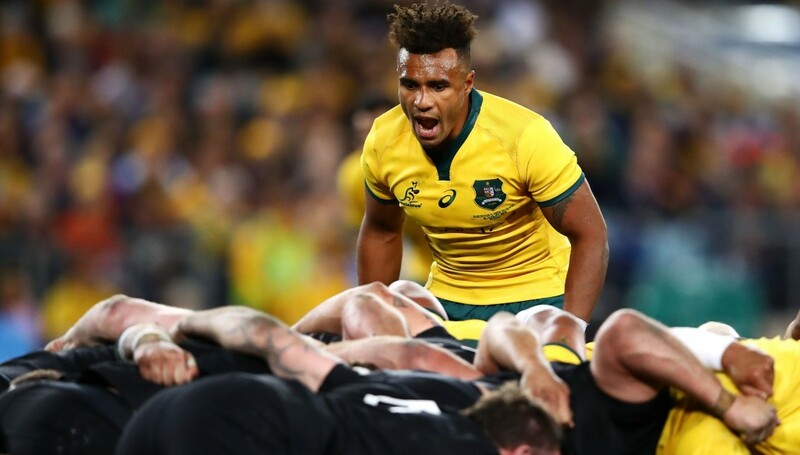 Wallabies scrum-half and Queensland Reds legend Will Genia knows exactly what is waiting for him when he runs out on to the hallowed turf of Suncorp to face the Springboks at 14:00 today (UAE time). “They try to bludgeon you,” Genia told Sport360 from Brisbane. “When you play against the All Blacks it’s the speed and the tempo of the game but with the Springboks – one thing I remember from playing against them is just how physical it is. Nelson hosts a Test match for first time since 2011 Rugby World Cup...can @lospumas upset @AllBlacks ? But, when he took a medical time-out early in the second set and returned hobbling to the court, it was clear something was seriously wrong, and, after going down 7-6 (7/3) 6-2, Nadal decided he could he longer continue. A downbeat Nadal, who had spent nearly 16 hours on court in battling through to the last four, said: “I had some issues during the tournament. Then I think it was a little bit better. “I think it was 2-2 in the first, 15-0, that I felt it. I said to my box immediately that I felt something on the knee. After that, I was just trying to see if in some moment the thing can improve during the match. But no, it was not the day. Del Potro, a man far too familiar with his body letting him down, was sympathetic but also understandably delighted after ending a nine-year wait to reach a second slam final three years after he thought a wrist injury had ended his career. The Argentinian said: “Of course it’s not the best way to win a match. I love to play against Rafa because he’s the biggest fighter in this sport and I don’t like to see him suffering on court like today so I’m sad for him but I’m also happy to move forward. Nadal is, of course, no stranger to knee pain having suffered recurring problems with tendinitis. He said: “The pain on the knee is always very similar. The problem is this time it was something a little bit more aggressive because it was in one movement. It is the second time this year Nadal has been unable to finish a Grand Slam match having also retired during his Australian Open quarter-final against Marin Cilic after damaging a hip muscle. 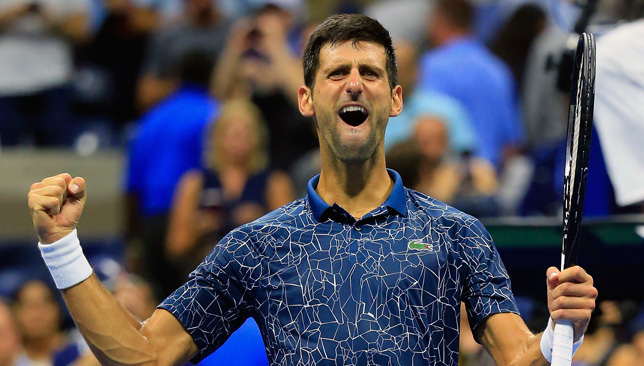 The second semi-final was a tour de force from Djokovic, who matched the record of Ivan Lendl and Jimmy Connors by beating Kei Nishikori 6-3 6-4 6-2 to reach an eighth US Open final. Djokovic made the most of the cooler weather with a superb display to stay on course for back-to-back Grand Slam titles. This has been the Serbian’s most consistent slam – aside from last year, when he was sidelined by an elbow problem, he has not lost before the semi-finals since 2006 – but he has only won the title twice. Serena Williams choked back tears as she contemplated the year-long journey that has taken her from fighting for her life in a hospital bed to the verge of history. Williams overwhelmed Anastasija Sevastova 6-3, 6-0 to reach her 31st grand slam singles final. There she will face a first-timer 16 years her junior in Naomi Osaka, who grew up idolising the woman she must now try to beat. 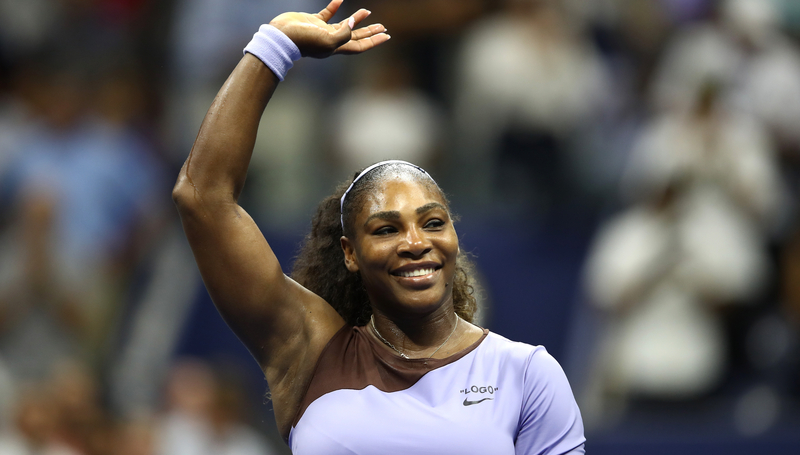 Williams never expressed any doubt that she would return to the game following the birth of her daughter Olympia last September, but that seemed an awfully long way away when she developed life-threatening complications. Williams has dropped only one set in the tournament and, although she was similarly dominant in getting to the Wimbledon final only to lose heavily to Angelique Kerber, she looks to have moved up several notches. It was her net play that impressed the most against the wily Sevastova, a 28-year-old Latvian appearing in her first slam semi-final, who won the first two games and then only one of the next 13. Williams came to the net 28 times and won 24 of the points, not giving her opponent a chance to disrupt her rhythm. Frighteningly for the rest of the women’s game as Williams chases the title that would see her equal Margaret Court’s all-time record of 24 slam singles crowns, she does not believe she is yet back to anything like her best. Williams put her current level at only 50 or 60 per cent, and said: “I definitely don’t feel myself yet. My mom said it takes a full year to get back. I’m at a full year now. But I’m also playing a sport professionally. “Even my body is different. I actually weigh less than I did before I got pregnant, but it’s distributed differently now. Osaka spent the formative years of her childhood living in New York and first came to Flushing Meadows as a fan hoping to catch a glimpse of Williams. Osaka was only a year old when Williams won her first slam title here in 1999. Now, 19 years later, she will try to become the first Japanese woman to win a grand slam singles title. 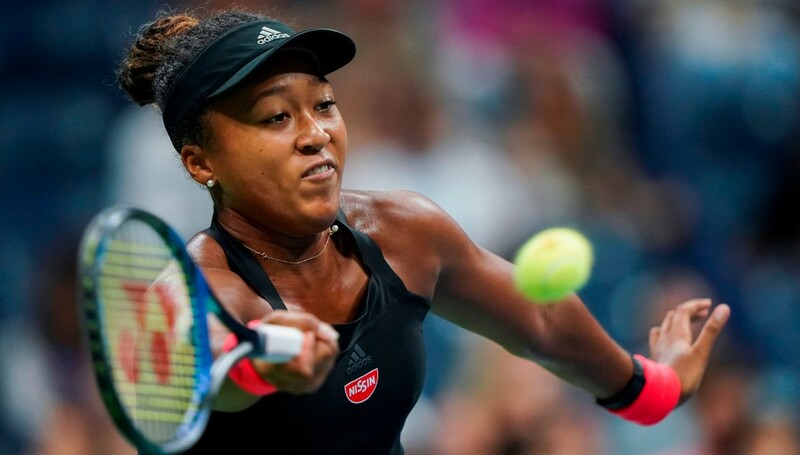 Osaka, 20, and Madison Keys, last year’s beaten finalist, are both players built in the same power mould as Williams but the most impressive thing about Osaka’s performance was the rest of her game and especially the poise she showed to save all 13 break points she faced. Naomi Osaka was one when Serena Williams won her first US Open in 1999. Her on-court message to Williams was simply: “I love you,” but Osaka insists she will not be happy simply to share the same stage on Saturday. “Of course it feels a little bit surreal,” she said. “Even when I was a little kid, I always dreamed that I would play Serena in a final of a grand slam. Just the fact that it’s happening, I’m very happy about it.